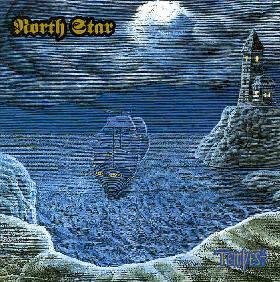 North Star has released several albums since the early 1980's, though Tempest is the first I've heard. I had liked keyboardist Kevin Leonard's "Automatrix" solo album (reviewed in AI #4) so was pleased to have the opportunity to hear this full band project. The band consists of Dave Johnson on guitar, guitar synth, and bass, Glenn Leonard on drums and keyboards, Kevin Leonard on keyboards, and Joe Newnam guesting on sitar. The band's sound is rooted in classic progressive but with some strong jazz fusion influences. The disc opens with "Tempest" which is classic progressive along the lines of Yes, but with a more rockin', though impressive, guitar style. Johnson has a raw guitar sound which is a great combination with Leonard's cleaner and more symphonic keyboards, giving the band a style that is symphonic, but not in the too heavy orchestral vein. On "Yes, I Know" Johnson gets a nice dirty sound from his guitar synth. The song jams into jazz territory including keyboard produced horns, though the guitar sound keeps things firmly rockin'. "Bathroom By The Bongos" is an interesting track. The first few minutes of the song is, true to it's title (not the bathroom part), a percussion-heavy track with lots of tribal rhythms, but is somewhat world music jazzy. Actually this is written by guitarist Johnson who played electronic drums on the song. After this extended intro the full band kicks in with what might as well be a separate track. It's a heavy rocker that's similar to King Crimson's "Red" and contrasts sharply with the percussive intro. "Goodbye Mom" is another heavier rocker I liked featuring some cool bluesy guitar. North Star pays tribute to J.S. Bach on two tracks. "Prelude In C" is a short simple keyboard piece. Not much to it really. But "Gettin' Gigue' With It" (Gigue' from Bach's French Suite No. 5) is a Keith Emerson styled treatment that reminded me of some of the music from Kevin Leonard's "Automatrix". One of my favorite tracks on Tempest is "Opus V", an excellent instrumental that is more overtly jazz fusion than the other tracks. And finally, "Raudra" is a meandering sitar jam that has the potential for being a cool Indian influenced psychedelic tune but develops little over its 9-minute length. The result is that it's a bit out of place relative to the other tracks. Overall, North Star plays solid instrumental progressive rock. The band seems to be strongest when playing the more fusion styled music as I liked the way the band blends jazz fusion with a classic prog sound. Taking the album as a whole I think it's a little uneven, but was sufficiently intrigued that given their long history I'd be interested in checking out their back catalog. For more information you can visit North Star at their web site. Contact via snail mail at Space Monster Optional Entertainment; PO Box 43; Glen Mills, PA 19342.